So, I just got a brand new Gi! Well, not quite now, I’ve had it for a couple of months since I had to “take it for a roll” before I can offer my two cents on it. 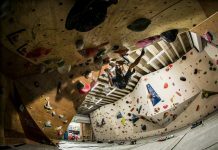 After training in it as much as possible I can share my experience with it. The Gi in question is the Gold BJJ Aeroweave Ultra Lightweight Gi, a Gi that came on the market with a huge claim. Whether that claim is substantiated, you’ll have to read the complete Gold BJJ Gi Review to find out. However, I can share a little spoiler before we really get into it – wearing this Gi feel completely different from any other Gi I’ve ever worn. Opening a new Gi is always a fun experience for a grappler. It is particularly exciting when it is a Gi from a brand you’ve never worn before. In all honesty, it was not the first Gold BJJ Gi I’ve seen, just the first that was in my possession. Since I’m currently hooked on lightweight Gis, of course, this had to be one, first and foremost. The claim that the Gold BJJ Aeroweave Gi stakes are that it is 40% lighter than any other lightweight Gi in existence. 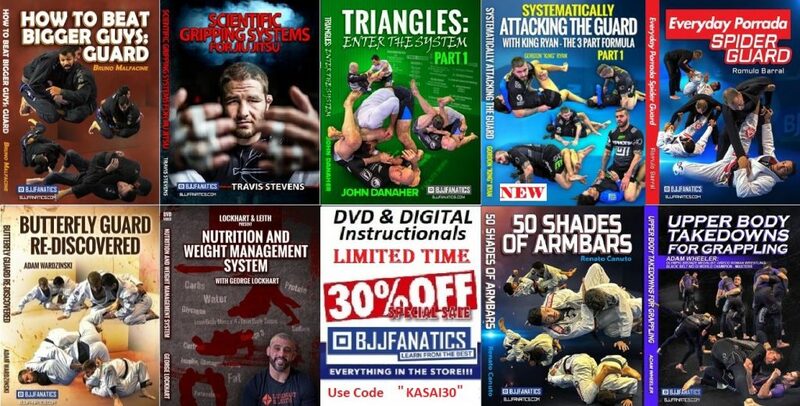 How could I not order one, given how biased I am when it comes to lightweight Gis? Even the risk of getting a brand I’m not familiar with did not deter me from getting one. Did I make a mistake? The Gold BJJ GI review is going to answer that question in detail. Let’s take things to step by step. 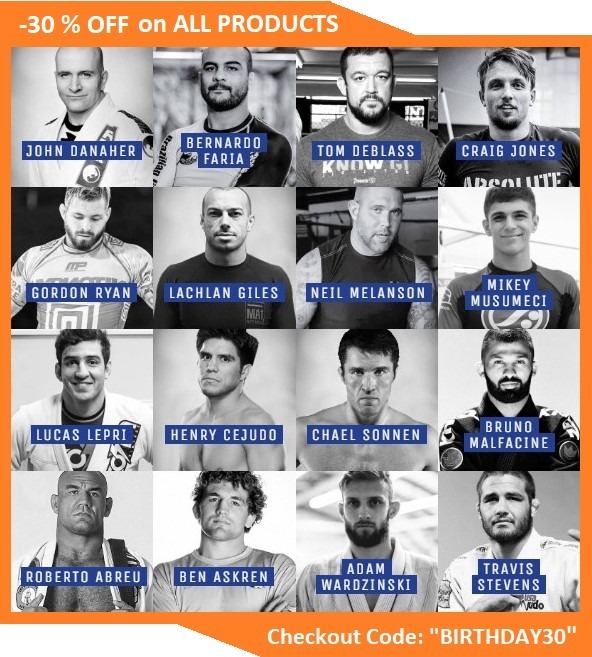 The reason I went with Gold BJJ and not any other brand out there is not just because of their “lighter than any other Gi” claim. The thing is, I already have quite the collection of lightweight Gis, but I’m not very big on repeating. So the need for a new Gi, the desire for something untested and, of course, that by now famous claim, led me to the Gold BJJ Aeroweave Ultra Light Weight Gi. The reason I like lightweight Gis is that I can’t stand feeling wrapped up in humid clothing. For me, No-Gi is quite the enjoyment, and I tend to opt for a rashguard whenever I can. However, as part of a mostly Gi-oriented Academy, and with classes to teach, I have to also wear a Gi. 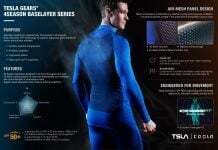 So, what is the closest a Gi can get to a rashguard? Well, lightweight of course. Not just that, but ultra lightweight. extremely lightweight and similar categories of Gi’s that tend to weigh next to nothing. Plus, it helps when the weather gets hot, and believe me it does. 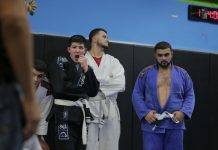 More on why I chose gold BJJ. First, they’re a brand with some real quality BJJ gear. I mean, just look at their backpack (on my shopping list as well). Moreover, their products come at truly amazing prices. Plus, the Aeroweave Ultra Lightweight Kimono is quite a new product. Still, I was unable to find many reviews (or any) of it before my purchase. So, I decided to do a Gold BJJ Gi review myself and fill that particular gap. Enjoy. 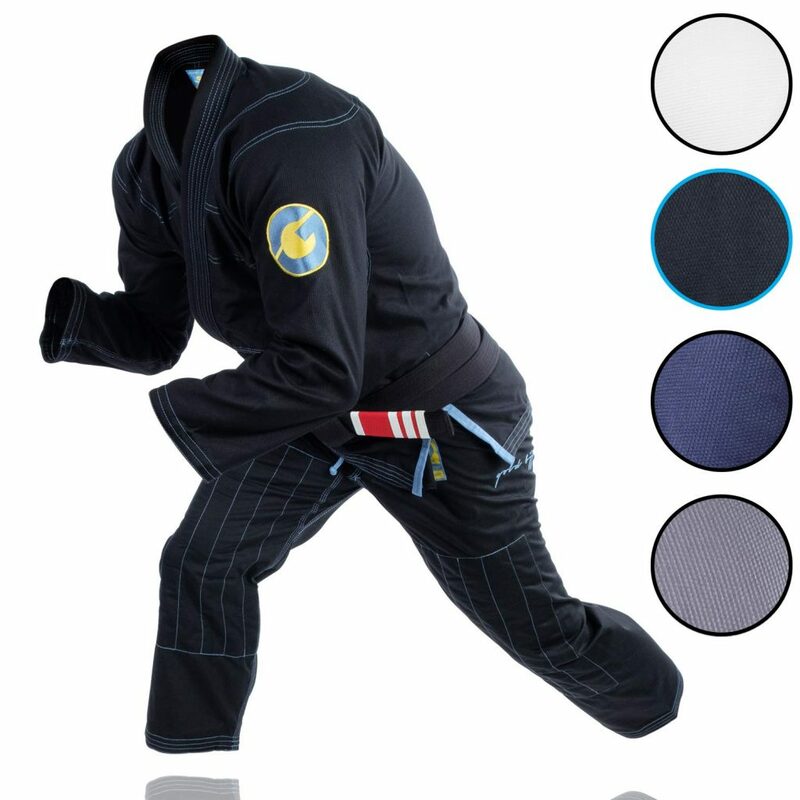 IF I wanted to get just chuck a positive comment I’d say go get this Gi, it’s awesome. 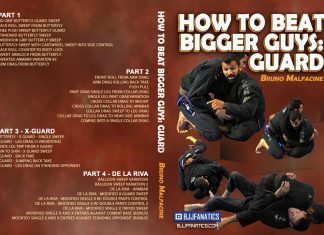 In fact, it is what I think about this Gi, however, I’d much prefer to take it slowly, step by step and take a brief (ish) look at each and every important aspect of buying a BJJ Gi. As a side note, I do train almost every day of the week and spend long hours in the Academy. That means any Gi I put on has a lot to prove. Let’s see how Gold BJJ’s Ultra Lightweight Aeroweave Gi did. I’m going to start at the top here, literally. The Gold BJJ Jacket is most definitely lighter than any other Jiu-JItsu GI jacket ever. So far, the lightest I’ve had was 375 gsm (my Submission Sniper Gi). Ye, the Gold Aeroweave comes at a staggering 275gsm. 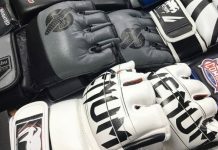 This makes their claim that they have the lightest ever BJJ Gi 100% true. The jacket feels as close as it comes to wearing a rashguard only. Of course, the main concern about a Gi this light is a strength. So, even though it is brand new, I took it for a test. This Gi went through some real hassle against some of the best speed guard players and overall grip and thug enthusiast. Whether standing or on the ground, it more than held it’s own. Actually, unlike some other lightweight Gi’s, it didn’t even stretch a tiny bit. The cut is an athletic one, fitting perfectly, and the skirt is not too long, which often annoys me with other Gis. The weave, is an innovative signature Aeroweave, something that feels as crazy as it sounds. It seems to work, though, for now at least. Ah, the pants. Perhaps I should’ve started the Gold BJJ Gi review with the pants, seeing how they’re usually the first to go. Well, with me, at least. To be completely honest, I have no idea how long these are going to last. I know that so far, they’ve performed admirably. The pants, as expected, are classic BJJ ripstop pants featuring a drawstring at the waist. There are significantly reinforced stitching across all potential stress areas. Apart from being lighter than most (only 10 oz. ), the pants don’t really differ much from other Gi pants. But there’s a catch that makes Gold BJJ win the “best BJJ Gi” contest. They’re so confident that their Aeroweave Gi won’t rip and tear that they have a warranty on it. Whether it is the jacket or pants, if it rips, they’ll replace it. I can’t wait to test that one out, whenever I inevitably come to that. Whatever this Aeroweave thing is (I couldn’t find much on it) it really does the trick. The gi is really featherlight, and you won’t even feel yo9u’re wearing one. It weighs barely a pound all together (A1 size). 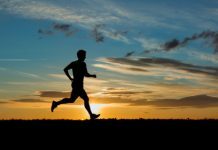 When you train and roll with it, you feel free to move, even when you’re soaking wet from sweat. 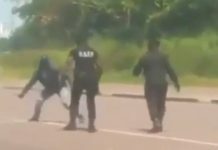 In terms of being Ultra Lightweight, this Gi’s claim is more than substantiated. Seems I now have to cut one less pound when competition time comes. This has always been a huge one with me. I somehow always end up with the Gi that shrinks a lot, or the one that I’d expect to but no luck. As a note, most BJ jGi’s that I’ve bought with the label “pre-shrunk” still had some shrinking left to do. 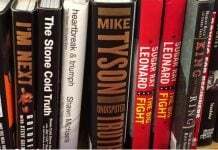 And, as much as I thought this would be the one blemish in this Gold BJJ Gi Review, I am soooo glad I turned out to be wrong. I wore this Gi a couple of time per week at least and made a point to always wear it to open mats. This means training with lots of people on a weekly basis, and of course, lot’s of washing. Despite being reserved the first couple of times, I popped it straight into the washing machine and, well, hoping for the best. No shrinkage whatsoever. At least none noticeable. And, now that a couple of months have passed I can safely claim it won’t shrink anymore. Still, watch this space as I’ll probably update my Gold BJJ Gi review a time passes. Comfort is a huge one for me. I don’t mind being stuck in difficult positions while rolling, but I do not like the Gi to add to my discomfort. heavier Gis tend to make me feel like I’m trying to grappler with Samurai armor on, fitted with a heating system. Not fun. Lightweight Gis do a lot to make training in a Gi more comfortable. The Gold BJJ Aeroweave Ultra Lightweight Gi is arguably the most comfortable one I own. It never gets in the way which is really something. SOme other lighter weight Gi’s tend to be softer and have looser sleeves. This gives away a lot of grips and makes for uncomfortable rolls. Luckily, the style and cut of the Gold BJJ Gi make sure you have optimal performance. The EVA foam collar is just thick enough to make gripping troublesome while allowing you to use lapels as weapons. Another reason why lightweight Gi’s are awesome – they’re much easier to thread around if you like to play with lapels. Another issue when buying a Gi online. How do you pick the right size for you? Even if you take into account shrinkage or the lack of it, it tends to be hard as different brands have different sized Gis for the same size number. The smartest thing – consult a size chart, carefully. 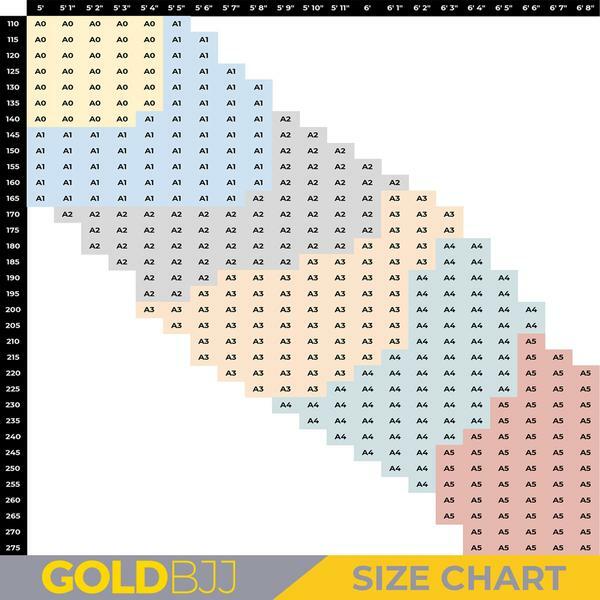 On the same note, big kudos for Gold BJJ on really nailing down the sizes in their chart. Gis are available in sizes A0 to A5 with very precise instructions based on height and weight. When you buy a Gi it has to serve a dual purpose – training and competing. Personally, I prefer white Gis. Still, from time to time I like to change things up. A big thumbs up for Gold BJJ for providing both options. Color-wise, they have two IBJJF approved Gis coming in white and black. Moreover, they also have a grey and a navy version, the latter of which I got. Although this Gold BJJ Gi Review refers to the Navy, I expect the same is true for all colors. The color holds firmly for now, with no sign of fading even after multiple frequent washes. The inside of the jacket has the words “For the journey” embroidered on the left side lapel. Another huge positive is the minimal branding, that gives the Gi a slick and minimalist look. If you’re in for a Gi swarming with patches, look elsewhere. Finally, a few crucial technical details to complete the BJJ Gold Gi Review. The Gi falls in the medium priced Gis category, which is a real treat for the quality you get in return. As far as pricing goes, Gold BJJ have nailed it once again! Shipment was fast and efficient, the Gi came in pristine condition and included a free white belt. Furthermore, there’s no-questions-asked full money back guarantee from Gold BJJ. Not that I’m looking to exercise it. 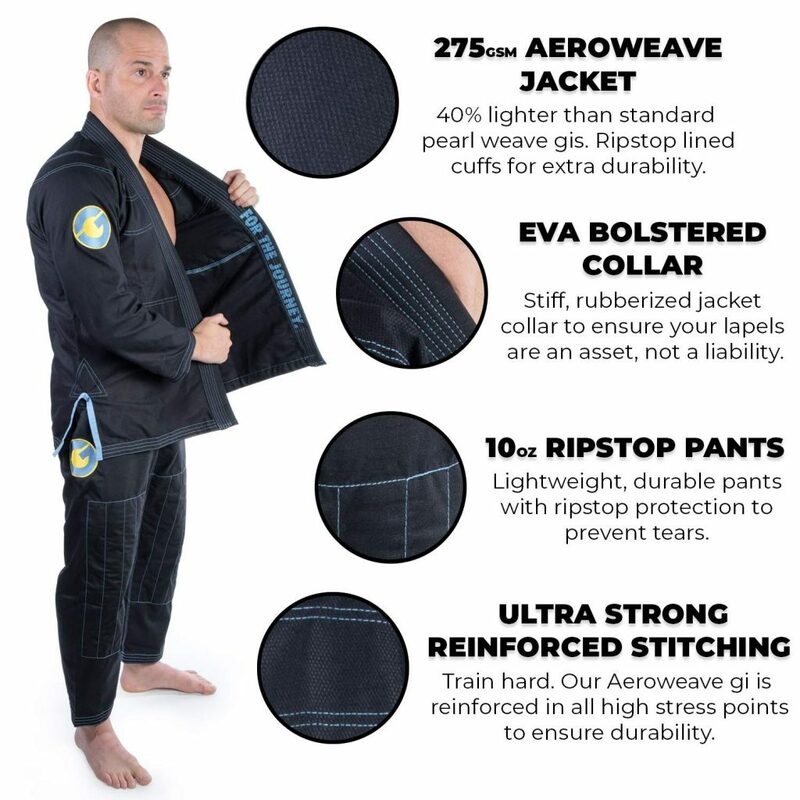 All in all, if it is not clear by now, you should definitely consider the Aeroweave Ultra Lightweight Gold BJJ Gi if you’re in the market for one. If you’re a light Gi kind of grappler, there’s no question about it. If you’re not, and you’re considering a change, beware, because trying this Gi out will have you hooked for life! I Hope this Gold BJJ Gi review helps the next person that’s unsure of getting this truly remarkable Brazilian Jiu-Jitsu Gi.